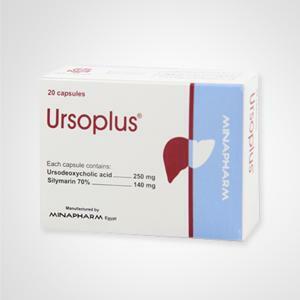 Pack: Ursoplus® is available in a box of two strips, each strip contains ten capsules. (3) IHCP (Intrahepatic Cholestasis of Pregnancy). (4) Chronic Hepatitis C; Supportive Therapy. (5) HCC (Hepatocellular Carcinoma); reduces the risk of neoplasia. (1) For the symptomatic treatment of cholestatic liver diseases e.g. Primary Biliary Cirrhosis (PBC), Non-Alcoholic SteatoHepatitis (NASH) & Chronic Hepatitis. The use of Ursoplus® capsules in primary biliary cirrhosis may be continued indefinitely. In patients with primary biliary cirrhosis, in rare cases the clinical symptoms may worsen at the beginning of treatment, e.g. pruritis may increase. 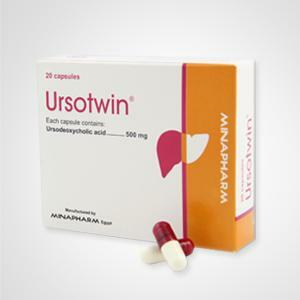 Should this occur, therapy should be continued with a dose of one Ursoplus® capsule daily, and the dosage then gradually increased (by 1 capsule daily each week) until the dose indicated in the respective dosage regimen is reached. (2) For the symptomatic treatment of toxic metabolic liver diseases. (3) For the dissolution of radiolucent cholesterol gallstones not larger than 15 mm in diameter in patients with a still functioning gall bladder despite the gall stone(s). 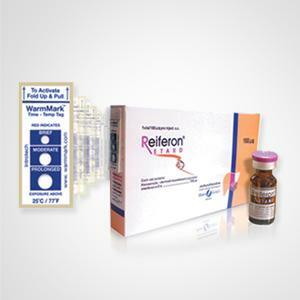 (4) For the treatment of bile reflux gastritis. (1) The dose differs according to the type of illness and the response of the patient. a. The daily dose of Ursodeoxycholic acid depends on body weight and is approx. 2 to 5 capsules (approx. 10‐15 mg/kg body weight). And the above daily dose of Ursodeoxycholic acid is compatible with that of Silymarin, which depends on the patient's condition, ranging from 2 to 3 capsules (approx. 140‐400 mg). UDCA & GSH synthesis: Ursodeoxycholic acid induces glutathione synthesis through activation of PI3K/sAkt pathway in HepG2 cells. Biochem Pharmacol. 2009 Mar;77(5):858-66. Silymarin & serum ferritin: Silybin treatment is associated with reduction in serum ferritin in patients with chronic hepatitis C. J Clin Gastroenterol. 2008 Sep;42(8):937-44. Silymarin enhances RNA polymerase: Silymarin: A review of pharmacological aspects and bioavailability enhancement approaches. Indian Journal of Pharmacology. 2007 Jul;39(4):172-9. Reduced Incidence of Silymarin reduces incidence of Neoplasia: Effects and mechanisms of silibinin on human hepatoma cell lines. World J Gastroenterol. 2007 Oct 28;13(40):5299-305. Silymarin in NASH: Silymarin prevents palmitate-induced lipotoxicity in HepG2 cells: involvement of maintenance of Akt kinase activation. Basic Clin Pharmacol Toxicol. 2007 Oct;101(4):262-8. UDCA in CH-C: A large-scale, multicentre, double-blind trial of ursodeoxycholic acid in patients with chronic hepatitis C. Gut. 2007 Dec;56(12):1747-53. Silymarin in CH-C: Inhibition of T-cell inflammatory cytokines, hepatocyte NF-kappaB signaling, and HCV infection by standardized Silymarin. Gastroenterology. 2007 May;132(5):1925-36. UDCA in HCC: p53 is a key molecular target of ursodeoxycholic acid in regulating apoptosis. J Biol Chem. 2007 Nov 23;282(47):34250-9. Silymarin in HCC: Effects and mechanisms of silibinin on human hepatoma cell lines. World J Gastroenterol. 2007 Oct 28;13(40):5299-305. UDCA & MHC-1: Effects of ursodeoxycholic acid and chenodeoxycholic acid on major histocompatibility complex class I gene expression. Journal of Gastroenterology. 2005 Feb;31(1):55-60. UDCA as an antioxidant: Antioxidant properties of ursodeoxycholic acid. Biochem Pharmacol. 2002 Dec 1;64(11):1661-7. Silymarin enhances free radical scavenging: Pharmacology of Silymarin. Clin Drug Invest. 2002;22(1). 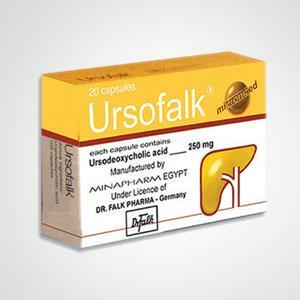 Use of ursodeoxycholic acid combined with silymarin in the treatment of chronic ethyl-toxic hepatopathy. Clin Ter. 2002 Sep-Oct;153(5):305-7. Silymarin Enhancing Synthetic Function of the Liver: The use of silymarin in the treatment of liver diseases. Drugs. 2001;61(14):2035-63. UDCA in IHCP: Ursodeoxycholic acid administration in patients with cholestasis of pregnancy: effects on primary bile acids in babies and mothers. Hepatology. 2001 Mar;33(3):504-8. UDCA in NASH: Ursodeoxycholic acid or clofibrate in the treatment of non-alcohol-induced steatohepatitis: a pilot study. Hepatology. 1996 Jun;23(6):1464-7. UDCA Reduces Subjective Symptoms in PBC: A randomized, double-blind, placebo-controlled trial of ursodeoxycholic acid in primary biliary cirrhosis. Hepatology. 1995 Sep;22(3):759-66. UDCA Improving Liver Enzymes: A randomized, double blind, placebo controlled trial of ursodeoxycholic acid in primary biliary cirrhosis. Hepatology. 1994;19:1149-56. UDCA Increasing Survival Rates: Effects of ursodeoxycholic acid after 4 to 12 years of therapy in early and late stages of primary biliary cirrhosis. J Hepatol. 1994 Oct;21(4):624-33. Silymarin Enhancing Synthetic Function of the Liver: Professional Review: Herb & Supplements; Milk Thistle. 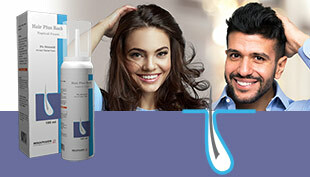 http://www.camline.ca/professionalreview/pr_uses.php?NHPID=51&Section=1&SubSection=4. UDCA Reduces Incidence of Neoplasia: The Medical Management of Primary Sclerosing Cholangitis: High-Dose UDCA.http://www.medscape.com/viewarticle/569180_3.